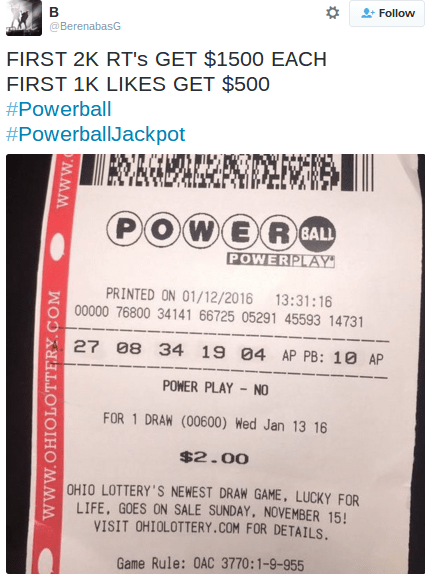 Numerous people on social media are falsely claiming that they won the $1.6 Powerball lottery jackpot. 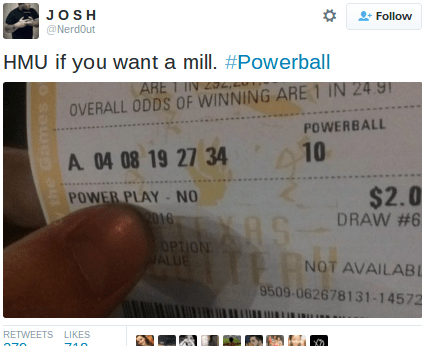 The three winners of the $1.6 Powerball lottery have identified themselves on social media. On 13 January 2016, the official web site for the Powerball lottery announced that three winning tickets had been sold (one in California, one in Tennessee, and one in Florida) for the $1.6 billion jackpot. Shortly thereafter, rumors started circulating about the identity of the winners. 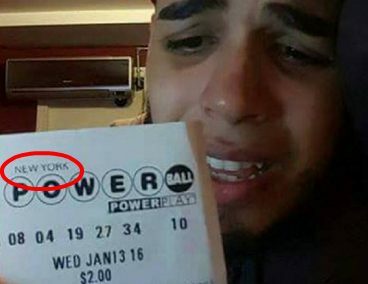 Several people took advantage of the hype surrounding the record breaking Powerball lottery and posted fake tickets to their social media accounts. 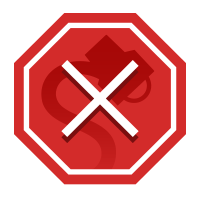 Most of these posts followed the familiar “Like Farming” formula, in which people are promised monetary rewards in exchange for liking, sharing, or commenting on a Facebook message. While Bragg’s photo has garnered 100,000 likes on Instagram, the above-displayed image also features a fake lottery ticket. The biggest giveaway here is the “ABCDE” displayed on the left side of the ticket, which indicates that the ticket should feature four additional groups of lotto numbers. These numbers were removed, however, when the image was altered to display the winning lotto numbers of 4, 8, 19, 27, 34, and 10. As of 15 January 2015, $1.6 billion Powerball lottery winners who have been officially identified are John and Lisa Robinson of Mumford, Tennessee.